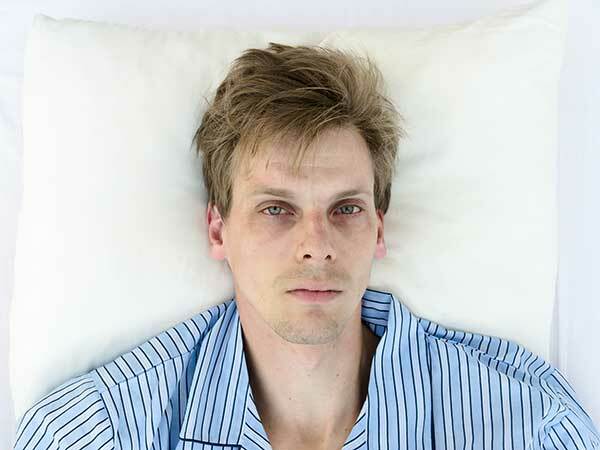 How to treat insomnia is a subject of much discussion, and some controversy. This is due mostly to the popularity of OTC and prescription sleep aids. If you are having difficulty falling asleep or staying asleep it can be very tempting to reach for a pill to make all of your problems go away, but that isn't always the answer. In fact, most doctors caution against using sleep aids on a long-term basis. Rather than relying on medication, there are many other techniques you can employ to help yourself get a good night's sleep. The important thing to remember is that the sleep cycle is a natural process that your body goes through and it is triggered spontaneously within a 24-hour period by changes in light. In other words, when the sun goes down our bodies naturally know that it is time to sleep and when the sun comes up it is time to wake. Insomnia occurs when something disrupts this natural cycle, so when you consider how to treat insomnia you have to focus on getting your natural sleep cycle back on track. This can be accomplished by taking steps as simple as shutting down all electrical equipment, as the light from computer screens, TV's or phones can have a stimulating effect on the brain. Another easy way to encourage your brain and body to shut down is to make sure that your sleep environment is dark and quiet, using blinds and a fan or white noise machine to block out sound. Often when we turn out the lights at night, we start thinking over everything we did that day or what we need to do the next day, all of which can make it difficult to fall asleep. Lying in bed and focusing on your breathing can help to relax your mind and prevent you from thinking too much. Of course, when discussing how to treat insomnia it is also important to focus on your lifestyle choices, some of which can directly impact your ability to sleep. Eating or drinking too much caffeine can overstimulate you, making it difficult to fall asleep. Eating a large meal just before bedtime may cause acid reflux or other digestive issues, which can wake you up during the night. It is also very important that you go to bed and get up at a regular time every day. This helps your body to establish that natural pattern, called a circadian rhythm, which keeps you sleeping and waking regularly. This can be a particular challenge for individuals who work night shifts, but even then you can help yourself by continuing to maintain as regular a schedule of waking and sleeping as possible. In some cases there may be an underlying medical condition that is causing insomnia or the insomnia may just be so persistent that a sleep aid becomes necessary. If this becomes your answer for how to treat insomnia, you should consult your doctor first and always take sleeping pills as directed. Because of their addictive nature as well as the potential for serious side effects, under no circumstances should sleep aids be considered a long-term solution for insomnia. If you are struggling with insomnia, talk to you doctor and together you can determine the cause and how to go about treating it. Whether you use a combination of relaxation and behavioral techniques alone or add a sleep aid temporarily, getting the proper sleep is too important to take lightly. Do whatever it takes and make sure you rest easy.